Specifically designed to break down into manageable pieces to fit in an elevator, our trestle style table is an excellent alternative to a steel base design. 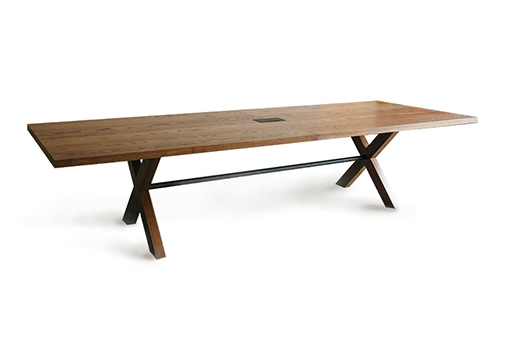 Constructed of solid wood, our trestle tables are durable and built to last. Custom sizes, species of wood, and finishes are available.